hd00:36A slow aerial truck of waves crashing against the rocks of a New Zealand cliff face. hd00:47Overhead View from a Bridge of Saint John River with Inbound white water Reversing Falls with green cliffs and birds flying in St John's New Brunswick Canada. 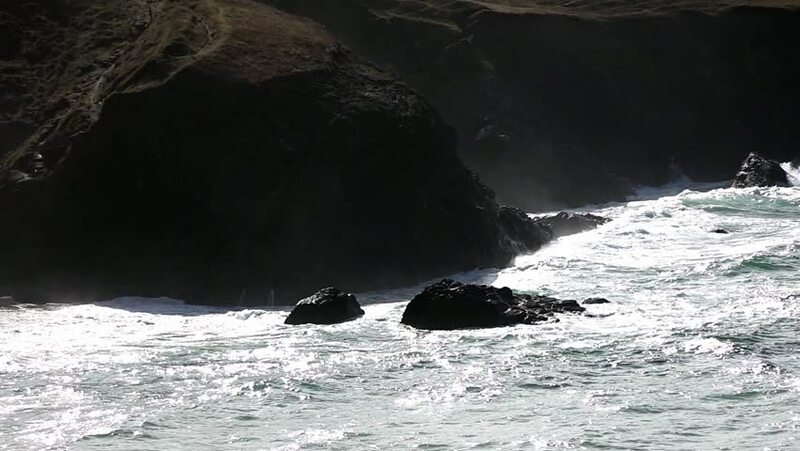 hd00:16Waves breaking on the Newfoundland coastline.